On the 16th of March 2019 we celebrate International Macaque Day. Many Macaque species are endangered and this is what makes International Macaque Day so important. The day is designed to raise awareness of the decline in populations due to deforestation and the pet trade. It is agreed that unless urgent action is taken now, some macaque species will be lost from the wild in as little as 10-15 years! At Fundacio Mona we care for four rescued Barbary Macaques; all four were victims of the pet trade. They were taken from their parents at very young ages, smuggled out of their native Africa and kept as pets. It is estimated that 300 Barbary Macaques are being taken from the wild to be sold as pets every year and with a population believed to be as small as 11,000 to 15,000 individuals spread over a very fragmented area of North Africa, time is running out for these amazing primates. 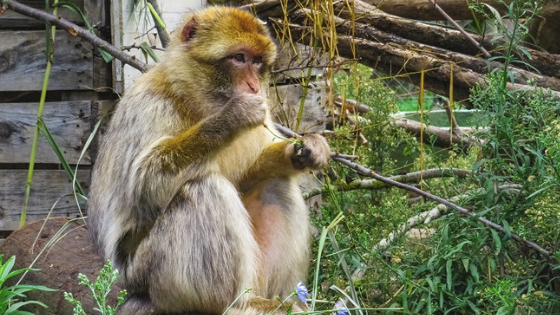 WHY ARE MACAQUES SO SPECIAL? Macaque Fact 2: There are 23 species of Macaque, including the Crab-Eating Macaque and the Rhesus Macaque. Macaque Fact 3: Barbary Macaques are the only primate species to live wild in Europe. Macaque Fact 4: Macaques use cheek pouches to store food. Macaque Fact 5: Macaques communicate via vocalisations and facial expressions. For example, Pig-Tailed Macaques pucker their lips and push out their chin to greet a familiar individual. Whereas, Barbary Macaques chatter their teeth together as a greeting. Macaque Fact 6: Many Macaque species help to maintain healthy forests by dispersing seeds an enabling new trees and plants to grow. Macaque Fact 7: Insects are an important part of Macaque diets; this means they play an important role in controlling invertebrate populations. Its possible to help raise money for MONA just by doing your normal shopping online. Easyfundraising is a great website where you can help MONA simply by doing your everyday online shopping with over 3,300 big name retailers like Amazon, Argos, John Lewis, ASOS, Booking.com, eBay, Boden, and M&S.